The HTC U12+ which is also code named HTC Imagine is the upcoming flagship device from HTC. Lots of rumours about the phone's spec have been released online and now an image of the upcoming device have just been leaked online by ventures beat. Although the image isn't of high quality, it at least for the first time shows the device front and rear sides. 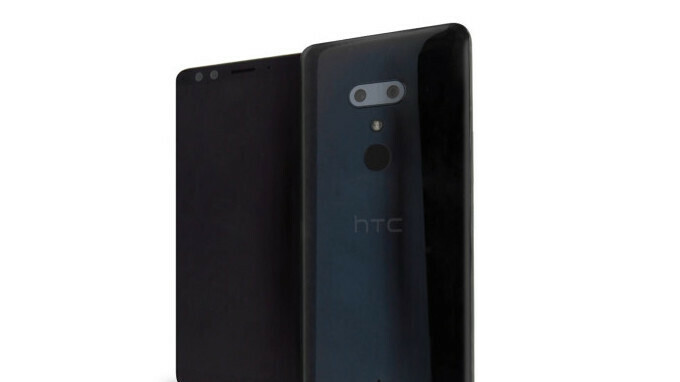 Going by the leaked images, the HTC U12+ will also feature a near bezeless display just like the HTC U11+ as well as rounded corners and edges. The display will be 6-inch with an 18:9 screen ratio. The device is also expected to feature a dual rear camera setup just like it's predecessor with a 16MP + 12MP, as well as a dual front facing camera with 8MP + 2MP. The HTC U12+ will be powered by the latest Snapdragon 845 Chipset with a 6GB RAM and a massive 128GB Internal storage. It will also run on Android 8 Oreo out of the box. HTC might release the U12+ April of 2018 which is just next month.